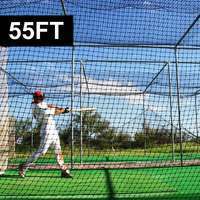 The FORTRESS Ultimate home baseball batting cage. UV treated, 100% rot proof #42 grade netting and galvanized 40mm steel support posts, guy ropes & steel pegs. Four sizes available. 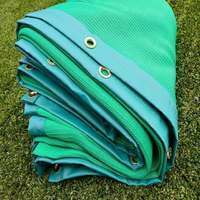 UV treated, #42 grade knotted netting manufactured to withstand your best shots and protect your surroundings, time after time. The all-black, powder coated 40mm steel support posts not only look the part but are galvanized for ultimate durability. 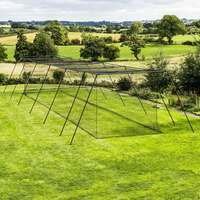 This impressive heavy-duty structure, held firmly in place with PVC coated steel guy cords, will feel like your very own MLB stadium. 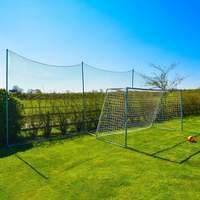 An essential piece of training kit for any aspiring MLB star, this professional all-black softball and baseball batting cage will transform your garden into your very own Fenway Park. 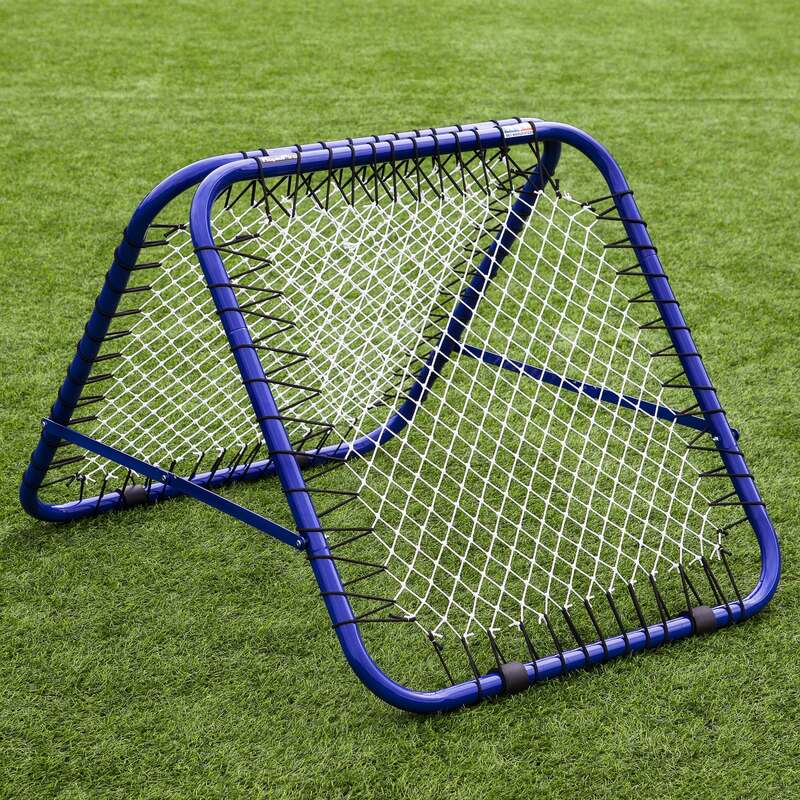 For the budding batter this baseball batting cage is perfect for Short Toss, Soft Toss, and Tee Drills. 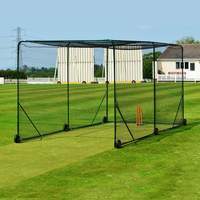 The sturdy steel frame and durable UV treated netting will withstand your toughest hits, time and time again! 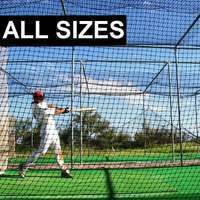 The FORTRESS Ultimate Baseball Batting Cage comes equipped with high quality PVC coated guy ropes to take it to the next level. 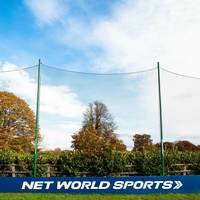 Not only do they ensure that you have total control over the tightness of your netting, but also make the cage effortlessly portable at the same time. 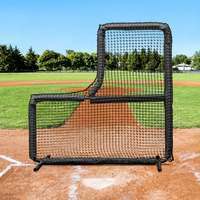 For the fearsome fastball pitcher the Fortress Ultimate Baseball Batting Cage makes a fantastic practice arena for any pitching drill. 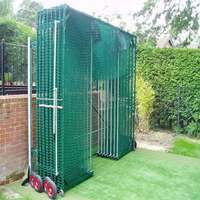 This spacious cage goes hand in hand with the Vinyl Net Saver With Target to fine tune your accuracy. 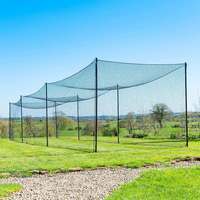 With easy assembly, knotted netting and PVC coated steel guy cords to hold your baseball batting cage in place, this piece of kit will take your baseball skills to the next level. 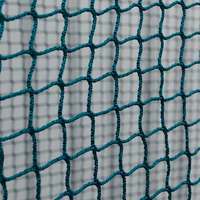 The all-in-one design not only makes for quick assembly but also ensures there are no gaps in the netting, increasing protection for your surroundings. Is the cage fully enclosed and how do you enter the cage? Hi Brad, thank you very much for the enquiry. Yes, this does come fully enclosed as standard however, we can cut/adapt it so it can have an open end. Hi Keith, thank you very much for taking the time to contact us. That's great news about your net! 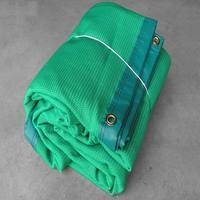 You can purchase new poles from our site, they are listed as the 'FORTRESS Ultimate Poles'. 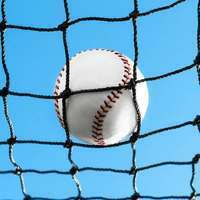 what gauge is the netting?